Magicdust is an award-winning, full-service web design agency offering affordable website design and development, ecommerce websites, logo design and online marketing solutions. 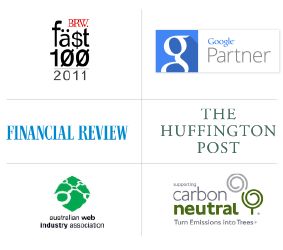 We specialise in working with businesses throughout Australia. Established in 2006, we are a website design and development company trusted by leading brands and over 4000 established businesses. We are Australia’s go to web design company. Clients choose us because we understand Australian business, we are experienced, innovative and all our design, hosting and support is 100% on-shore from our Sydney web design head office. We like to keep the web design process personal, simple and streamlined while delivering a fully customised service. 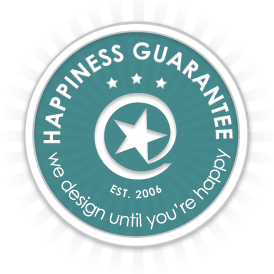 In fact we are unique in that we will design until you’re happy, we call it our Happiness Guarantee. There has never been a better time to be a business owner and establish your identity online, capturing your unique brand and using the power of the internet to grow your influence in your industry. Ultimately we believe you deserve the best chance of success. *Subject to fair use policy does not apply to Classic Package. **Does not apply to our eShop product. 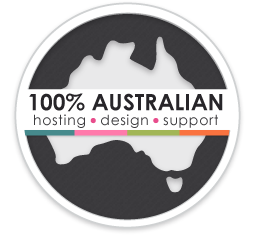 Experienced & credible – Were a 100% Australian owned Sydney website design company. Since 2006 we’ve helped over 4100 businesses get online. Remarkable Custom Design – With tailored designs and unlimited revisions you’re guaranteed to have a unique website you love. Awesome & Affordable – We specialise in keeping within your budget while providing outstanding websites and logo design. The Magicdust philosophy is to build websites and online marketing solutions that achieve results. We believe there’s more to web design and development than just looking good. We provide you with everything you need to succeed online. Attract new leads, ignite your branding, engage more customers and unlock your profit potential. A website is a valuable sales and marketing tool for any business and we are passionate about helping you get it right. We are the obvious choice for business websites and logo design in Australia. We are known for partnering with our clients to build successful websites they love! With some of the best Melbourne, Brisbane and Sydney web designers, you can guarantee that you will have local, quality and scalable website personalised for your business requirements. Our in-house design and support team have extensive experience with corporate website design. We’re trusted by over 4,100 clients and with web design offices in Sydney, Melbourne and Brisbane, we’re able keep our experience local and accessible for your business.